For over 11 years, the Wildlife Conservation Society surveyed gorilla and chimpanzee habitats in western and central Africa and in rare positive news for the Hominidae family, it seems like there are twice as many gorillas and chimps than previously estimated. As of 2013, the researchers concluded, there were 361,919 weaned gorillas and 128,760 weaned chimpanzees in the region. Previous estimates had ranged as low as 150,000 gorillas and 70,000 chimpanzees. Sixty percent of gorillas and 43 percent of chimpanzees live in Congo; Gabon is home to 27 percent of gorillas and 34 percent of chimpanzees. Most of these animals live outside protected areas. While the new figures provide a slightly better outlook for our primate cousins, their populations are still being threatened. Along with poaching and loss of habitat, Ebola—with a mortality rate as high as 25 percent—has killed of chimps and gorillas in large numbers. In 2015, the Daily Beast reported on efforts by the Jane Goodall Institute of Canada to procure an Ebola vaccine for western lowland gorillas, but at the time, the focus was on helping human populations hit by the deadly disease. 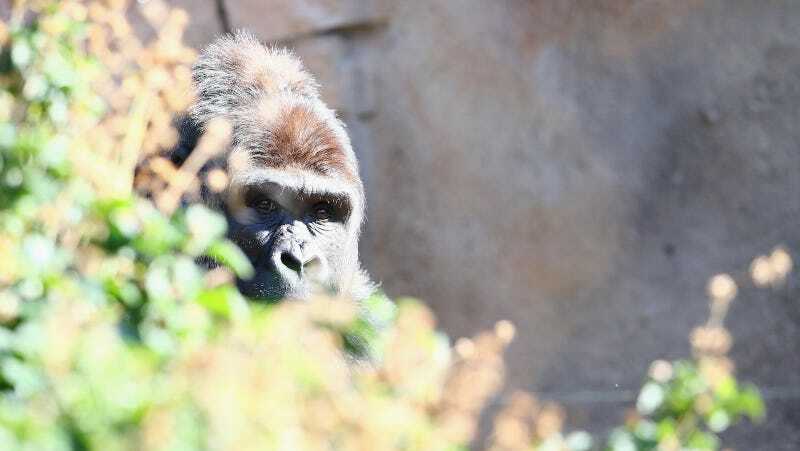 Gorilla populations have been declining at a rate of 2.7 percent a year since 2013, which means it could be as low as 300,000 by 2020. While the new census means that the Great Apes are slightly less in peril than previously thought, the situation remains dire.